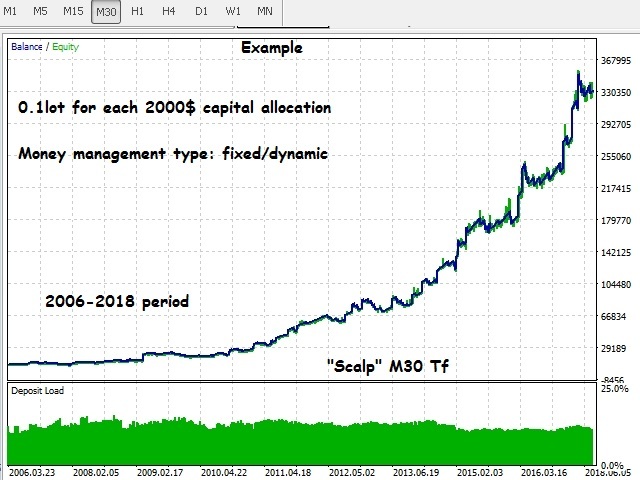 WindExpansion is a fully automated solution to get a smart edge type from the market: it will enter when the “smart money” is starting to heavy push the market (after accumulation/distribution phases that form tiny ranges) and volume is expanding due big interest to sustain the price caused by psychological buying/selling pressure; when this situation happens many traders will try to fade the move but “big dogs” will be stronger and collect profits by the crowd; when the opposite situation happens it will implement some great trade management techniques that allow locking-in profit as soon as possible. 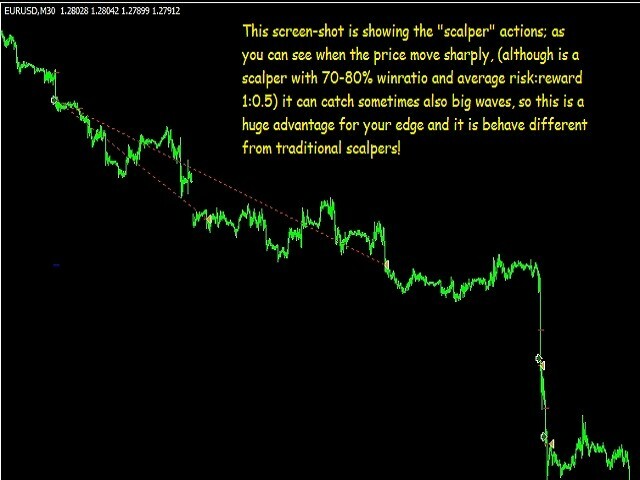 WindExpansion open two trade at once, the first with fixed target profit and the second is simply trailed all along the moves; it always uses tiny stop loss and try to ride big moves while it lock-in your profits (as soon as possible) until target is reached; it use only genuine trade/money management concepts. 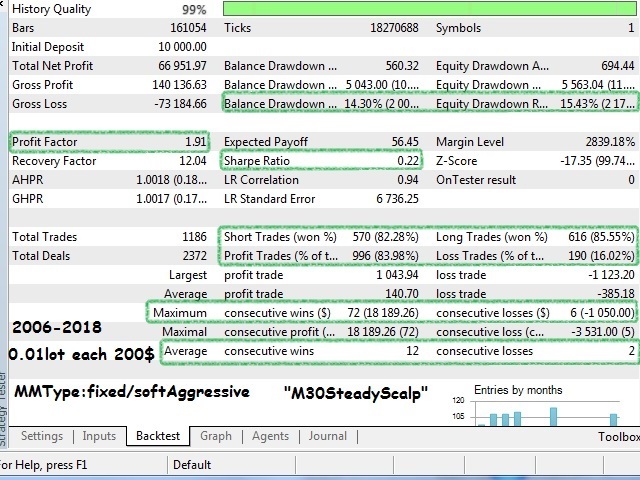 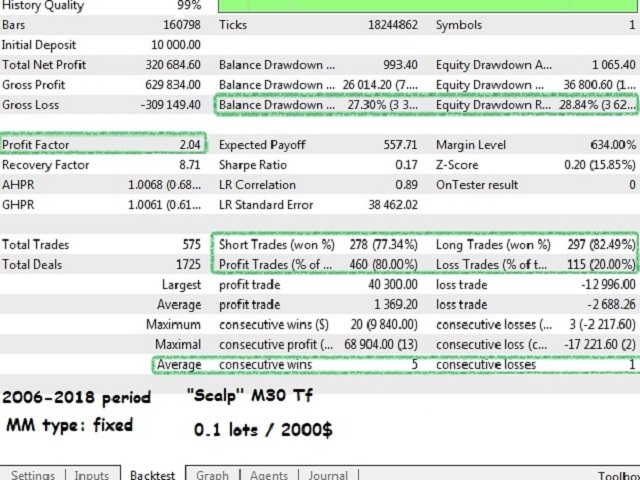 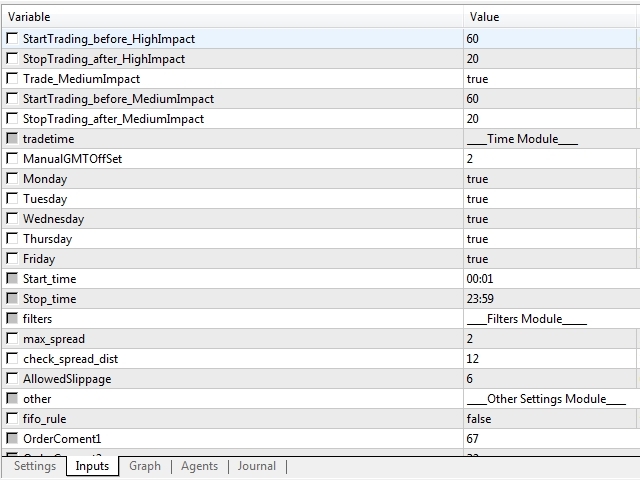 This EA will open trades at the open of new candle and it takes advantage from two expansion levels that happen on two different time frame (M30 and H1) with 4 different set files for each time frame; each set file will work to take a portion of the move (as you probably know the market has many dimensions) from smallest to the largest move to improve its edge over different move types in fact it implement 4 different risk:reward figure in its set files (1:0.5, 1:1, 1:2, 1:3). 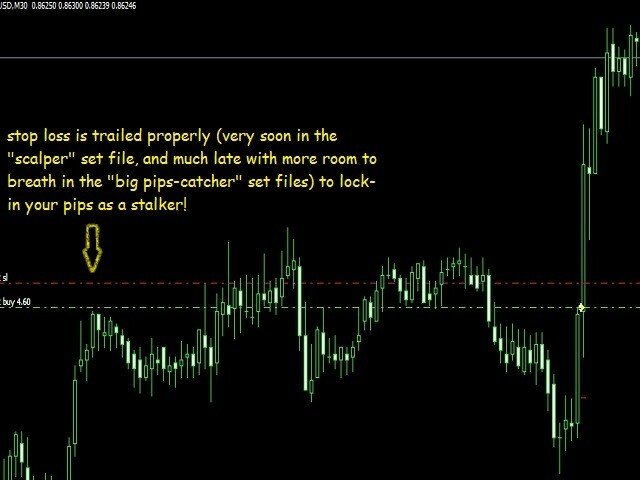 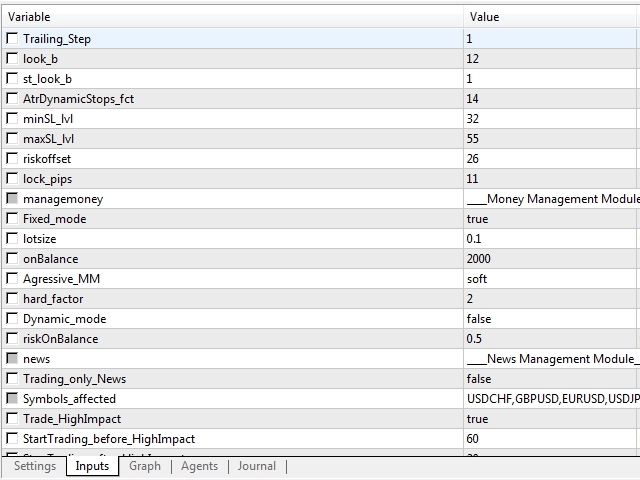 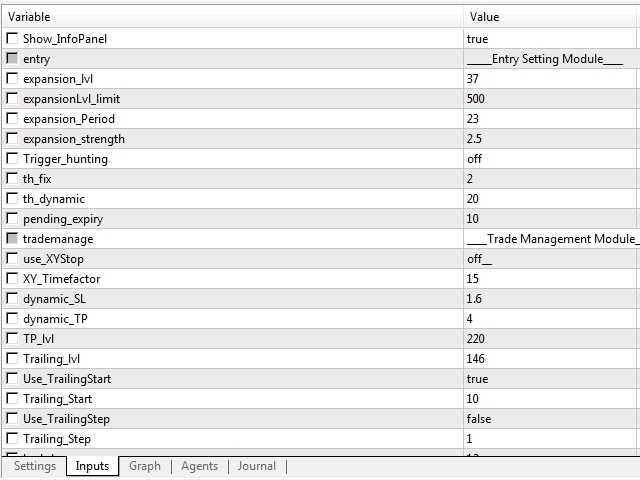 You can notice that while the first set file work much like a scalper, the other three set files will work like a big “pips-catcher”. 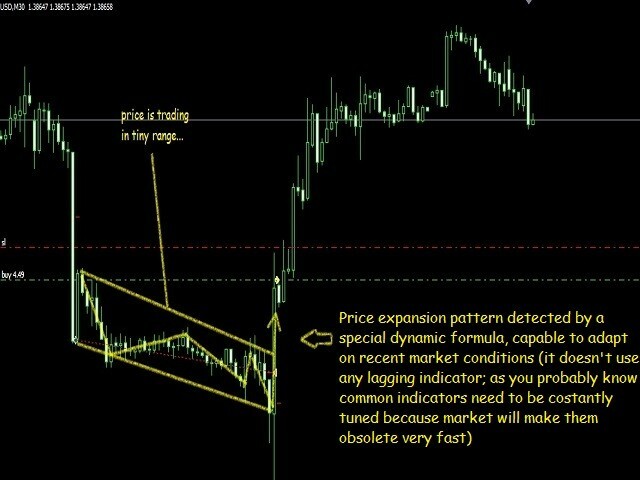 The algo is fully optimized (walk forward optimization type with progressive out-of-the sample periods to avoid curve fitting risk) to work with the most liquid and followed pair: EurUsd.